I have recently found out that Bishop Agafangel has been violating the Holy Canons and the principle of conciliarity. Can it be that Bishop Agafangel is leading the Russian Orthodox Church Abroad in the wrong direction? Why did Bishop Agafangel overrule the SOBOR (of Bishops) of 1990? (Reference from the Chancery of the ROCOR Synod of Bishops #4/77/133 dated 2/15 8, 1990): Based on the decision of the Hierarchical Sobor of ROCOR from 2/15 May, 1990 (Protocol #6) the ROCOR Synod of Bishops resolved in 1990 regarding the absence of canonical hierarchical succession of this group (“Sekachevsky”) that “it does not find it possible, in view of the absence (or failure to produce) the appropriate proof, to recognize the validity of apostolic succession and canonicity of the ordinations of these underground hierarchies”. In this connection, “the ROCOR Synod of Bishops determines that clergy (priests and deacons) of the aforementioned consecration who wish to enter into Eucharistic union with the Russian Orthodox Church Abroad must regularize their canonical status through ordination (if there exist no canonical impediments barring this) from the hands of a hierarch recognized by the Russian Orthodox Church Abroad”. (Reference from the Chancery of the ROCOR Synod of Bishops #4/77/133 dated 2/15 8, 1990). 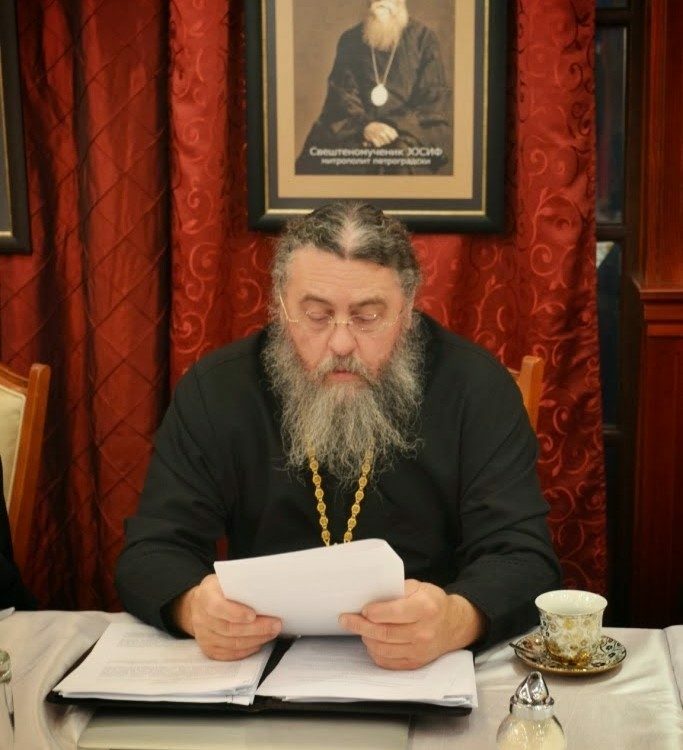 Therefore, having accepted into the ranks of this group (“Sekachevsky”) hierarchs who do not possess apostolic succession, Bishop Agafangel has demonstrated disregard for the holy canons of the Church and previous ROCOR determinations. In the ROCOR Synod of Bishops Resolution dated 2/15 May, 1990 (Protocol #6) it states that “the Sobor cannot recognize the canonicity of the ordinations of this catacomb group”. On the basis of this conciliar resolution in the determination of the ROCOR Synod, there is a synonymous indication of the possibility of receiving clergy from this uncanonical group through “ordination (if there exist no canonical impediments barring this)”. In connection with this, all the clergy ordained by the “Sekachevsky” hierarchs were received into ROCOR exclusively through a new, canonical ordination, that is chirotonia. Furthermore, if a “priest” sought to be received, he would first be ordained a deacon, and only then elevated to the rank of presbyter as is required by the canons. Bishop Agafangel did not carry out any of the above. In the case of Afanasy (Savitsky) and Ioann (Zaitsev), the hierarchs of the “PSCA” merely performed a supplemental chirotesia (a lesser rite of ordination) as a repletion to the deficiency in hierarchical ordination, after which the latter received them in the capacity of “bishops” into the ranks of “PSCA” hierarchy. Thus, neither the ordination as deacon or priest by an unlawful hierarchy were corrected. In this manner, the “PSCA” having violated the determination of the ROCOR Sobor of 1990, in fact recognized the lawfulness and validity of the ordinations into the deaconate and priesthood performed by the noncanonical “Sekachevsky” hierarchs. And by receiving them in their capacity as bishops, the “PSCA” recognized the presence of apostolic succession in the self-consecrated “Sekachevsky” group. In this case, the chirotesia performed cannot be recognized as lawful from a canonical perspective. From ancient times, chirotesia is performed in the Church in cases defined by the canons over clergy or hierarchs who possess apostolic succession, but whose chirotonia was performed in violation of canons or under schismatic circumstances. The self-consecrated hierarchs and clergy, in view of the fact that they do not possess apostolic succession, may only be received into the Church through (chirotonia) a full ordination, that is through re-ordaining to the rank of deacon and priest, which is prescribed by the resolution of the ROCOR Sobor with regards to the clergy of the “Sekachevsky” group. In justification of the “Sekachevsky” group, Bishop Agafangel asserted that there are KGB archives which prove their apostolic succession. To the demand of Fr. Sergei Klestov, Fr. Alexei Mikrikov and Nicholai Chertkov to SHOW the delegates of the Sobor those archives, Bishop Agafangel stated that “they exist, find them on the internet”, but subsequently admitted that he had never even read them. About forty delegates of the Sobor agreed with Bishop Agafangel’s statement that the “Sobor of Bishops of May, 1990 acted completely unlawfully and disgracefully” and voted “in favor” of receiving the “Sekachevsky” bishops, in so doing they abolished the “completely unlawful and disgraceful” resolution of the Sobor of Bishops of 2/15 May, 1990. Through this statement alone, Bishop Agafangel renounced the Church Abroad and dealt a blow to the blessed memory of the ever-memorable Metropolitan Philaret, whom he subsequently “glorified”. This action correlates to a previous statement by the secretary of the North American Administrative District, Priest Viktor Dobrov, who stated that “the situation with the Sekachevsky group is only the beginning and that the PSCA ROCOR will not regard the previous Synodal and Sobor Determinations as a ‘sacred cow’, because this church authority (PSCA?) will do even more – REVIEW, CORRECT or even ABOLISH certain Determinations, adopted prior to May 17, 2007.” Priest Viktor Dobrov, who placed all the Resolutions of ROCOR Hierarchical Sobors on the same level as a “sacred cow” received a gold cross as a reward. This is not the first time that Bishop Agafangel grossly violates the holy canons and the principle of conciliarity, even though at the same time by his words he constantly declares his loyalty to that principle. 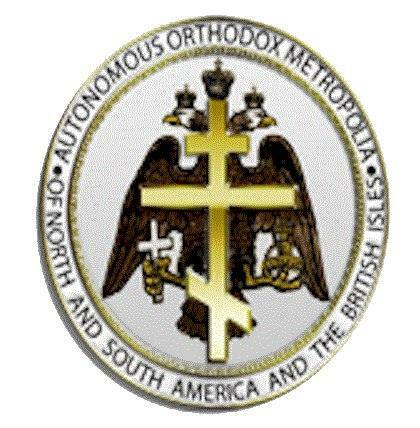 On the other hand, there is cause to presume that the rashness with which the aforementioned “hierarchs” were received into communion was permitted with one objective – so that at the forthcoming Sobor which unjustifiably claimed the title of “5th Pan-Abroad Sobor”, a controlling majority would be ensured which could neutralize, if necessary, potential opposition on the part of indigenous Abroad clergy. Regardless, the union with the self-consecrated hierarchy placed Bishop Agafangel’s group on one level with the Sekachevsky and other self-consecrated groups. Most Blessed Metropolitan Philaret commanded us – the true progeny of the Church Abroad – to “hold fast that which we have”, that is to acquire the Grace of the Holy Spirit and fidelity to the Church of Christ. Bishop Agafangel has renounced this and through this has betrayed the ROCA. Dear Dmitri: While we here at NFTU do not take a position one way or another on the differences between the Russian jurisdictions (they have members who are perfectly capable of defending themselves) I’ve been reporting on the Seraphimo-Gennadites for a short while now, since before this decision, they were also in discussions with the ROCIE. I understood, back when I was a member of the ROAC, that the 1990 decision– based on the testimony of Abp Lazarus (Zhurbenko, of blessed memory)– was itself a reversal of Metropolitan Philaret’s acceptance of fourteen catacomb priests of the Seraphimo-Gennadites, which itself was disastrous for the Catacomb Church. (Vladimir Moss has pointed out that because of his actions, ordination at the hands of the MP, and other actions, that many Catacomb Russians believed that Abp Lazarus was a KGB agent. (http://private.peterlink.ru/alektor/froc.htm). Thus, while I am neither “for or against” of the ROAC, the PSCA, the RTOC, the ROCIE, or the Seraphimo-Gennadites (I don’t have a dog in this fight, as I am with the Milan Synod), I never really greeted the 1990 decision on the catacomb branches with much besides suspicion. Of course, I don’t speak for those who help with NFTU but as a disinterested party I don’t see much justification for claiming– with other reasons to legitimately do so– that the PSCA is not following the path of the ROCOR for joining with the Seraphimo-Gennadites. Offline, I heard from one person it was one of the most traditional things they’ve done so far. –Rdr Joseph Suaiden, NFTU. NFTU welcomes letters and editorial submissions. Unless acting in a public capacity we generally will withold last names and personal information except when requested otherwise by the author. We reserve the right to edit letters for length and clarity at our sole discretion.